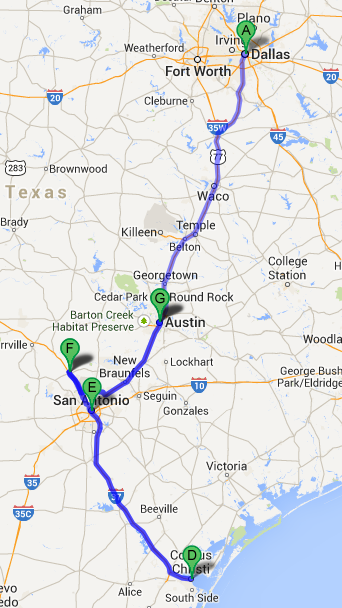 We are travelling over these next few days, visiting friends all over Texas. 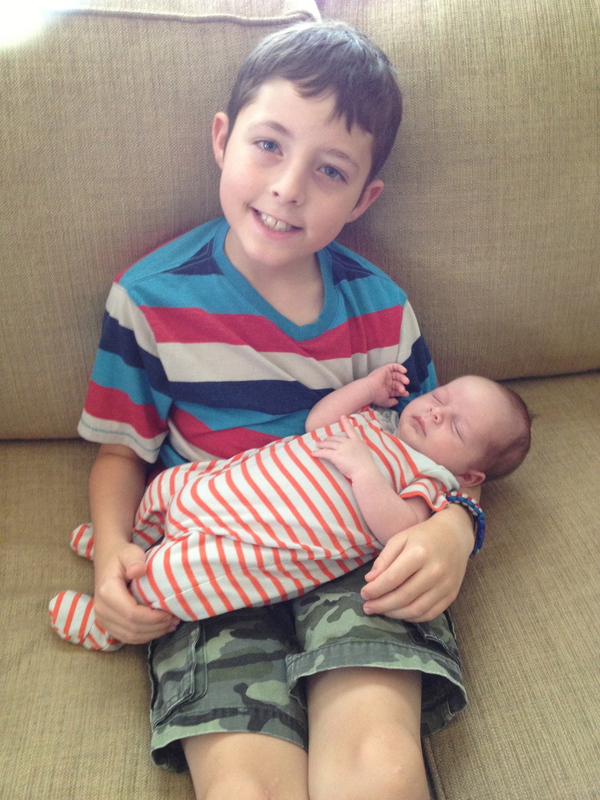 A highlight of the past few days was meeting our newest cousin Isaac. Isaac, welcome to Texas. 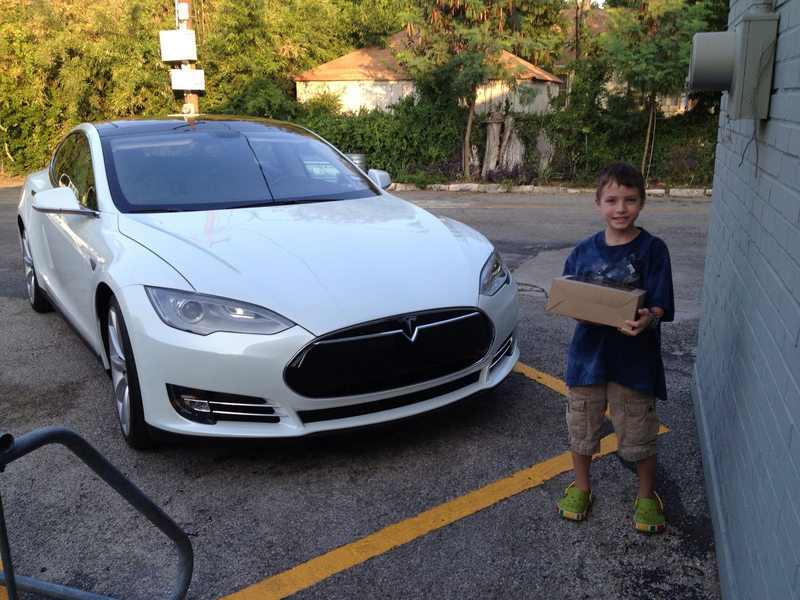 Peter was excited to see a Tesla sedan, and I have no pictures of him with Isaac which explains the last photo. Some pictures of what has kept us so busy during our time here in the United States. There is so much pressure to try and do everything you would do in an entire summer in just three weeks. Impossible, but fun to try! These are from the first 12 days! The kids eating ice cream. David, of course, tried to talk to the Mexican man selling the helado en español. Peter exploring Klyde Warren Park in downtown Dallas. First good tex mex queso in the last year. We love Chuy’s. 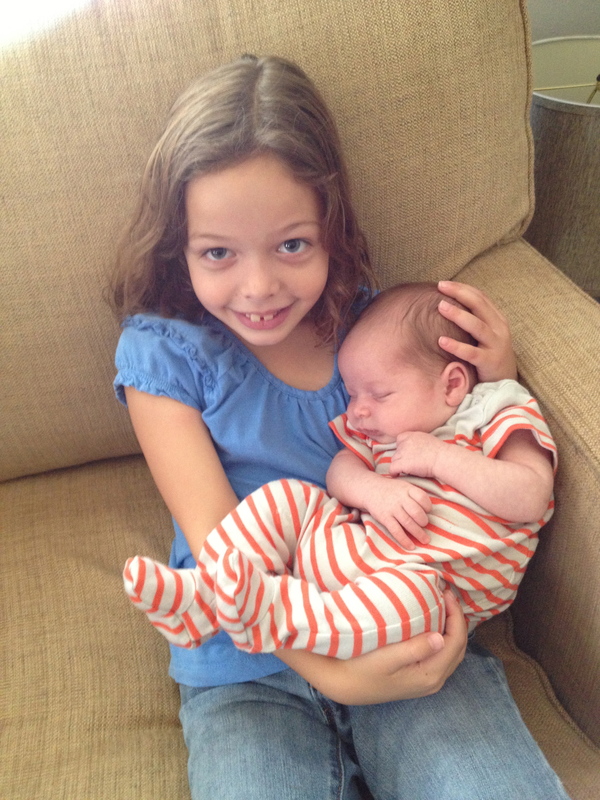 Saying goodbye to cousins is hard. There were a lot of tears. Ready to swim at the Reid’s house in Oklahoma. Annie is trying out the toilet in my Dad’s backyard. We did not have a hot summer in Costa Rica! It is hot in Dallas. Flying like a bird at the new Perot Museum near downtown. This is how you dive. Looking good in his Costa Rica cap! Riding the escalator with cousins. Playing in their grandfather’s pool. The kids playing with friends. These girls sent our girls so many letters over the past year in Costa Rica. The Home Plate entrance to the ballpark in Arlington. I tweeted this picture to the stadium, and it showed up on the scoreboard during the game. At the ballgame. Notice that Sarah is totally into the game. 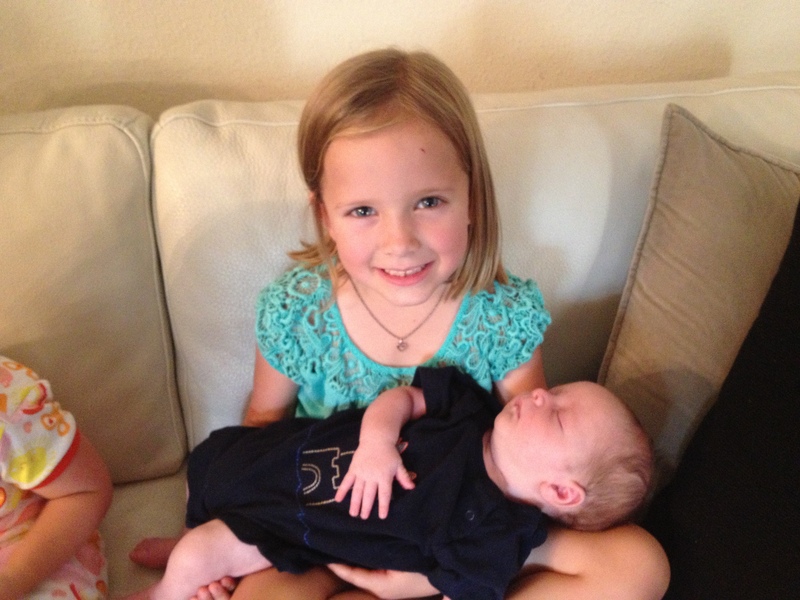 Our youngest watched more intently than any of the older siblings. Allison’s good friend Amy flew down from CO for a visit. Key Lime pie at Houstons. 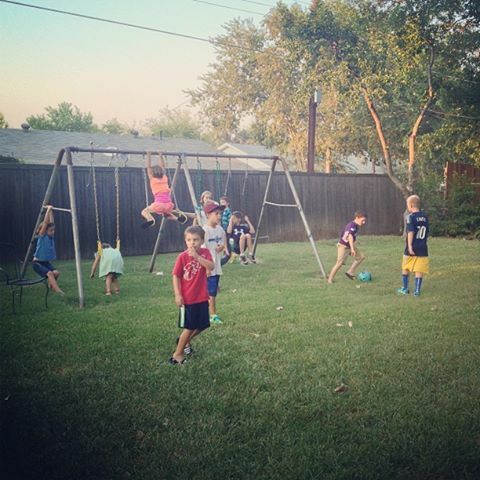 All the kids of the cousins playing in my mother’s backyard. Some of the kids of the cousins playing in my mother’s backyard. I am thankful for my mother’s side of the family, all my aunts, uncles, and cousins who have continually been interested in this life we are living, both overseas and in the U.S. They have continually demonstrated to us what it means to be a family. Thank you for spending time with us this past weekend. We are honored to be part of the family. People press on through hard and even scary things. Some friends of ours in Honduras were robbed twice in their first two days in their new country. And yet they persevere, because they know that God will carry them through hardships, and it is for a reason that he brought them to Honduras. You can read the whole post here. Below is an excerpt. People are in need. And the thing that they need most is the best thing we are able to share. Jesus. I have been forgiven much. And for this, I am able to forgive and even love those that sin against me. One of many meals that is causing me to gain back the weight I lost in Costa Rica. 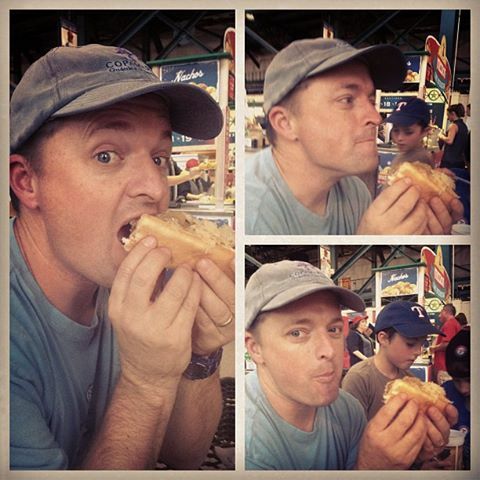 Ballpark Hotdog at the Texas Rangers game! We went earlier this week to see my father and the Reid family in Edmond, Oklahoma. Robert and Amy Reid are great friends from high school and graduate school respectively. I like to take credit for getting them together, but they are both such attractive people they would have found each other anyway. Robert owns a printing company with his brother and parents, and Amy is a physical therapist. Between the two of them and their kids they make a great difference in so many lives, just as they make a great difference in our lives. I have repeatedly called them with little notice over the years and they have offered us a place to stay in their home. Robert makes about three times the amount of food we are able to eat at every meal, and we always leave stuffed and happy. They have been great friends to our family and great supporters of us over the years. I cannot help but brag on how great they are, and what a privilege it continues to be to count them as friends. Unfortunately, I did not take a picture of them when we were at their house, but I did take some pictures of a restaurant called Pops which has almost every type of Soda you could hope to find. It is located in Arcadia, OK where my Dad lives. The kids think it is a lot of fun, and to be completely honest, so do I. The wide open spaces of Oklahoma! When one cola is not enough! I am glad to see that the Wright family has arrived to Peru. This is the first wave of Wrights who will be arriving to Curahuasi to serve at Diospi Suyana Hospital. We will see you guys in three weeks. Read this from the Diospi Suyana Hospital website. Dr. Stephen Wright, his wife Paige Finley and their kids John Paul and Matthew. Dr. Stephen Wright will start his new job at the Diospi Suyana Dental Clinic this upcoming Monday. Yesterday, the American dentist tested one of the five chairs. 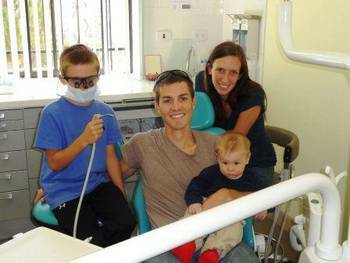 No one seems afraid of visiting a dental clinic – even surrounded by drills and syringes, his wife Finley and their kids John Paul and Matthew seem extremely comfortable. We wish the Wright family a good start and are looking forward to working with them for at least two years!